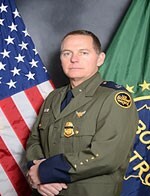 Border Patrol’s busy Yuma Sector has a new leader. The Yuma Sector is one of the busiest sectors of Border Patrol, covering 126 miles. Porvaznik replaced outgoing Chief Patrol Officer Steve Martin. Posted: 6/25/15 at 9:24 AM under Milestone, News Story.